Monday through Friday, 4 lessons of 50 minutes daily. The courses are divided into six levels. In order to place the students properly, there is an oral and written test on the first day. The classes are kept small. To achieve the best results from our oral communication method it is important to have a maximum of 8 students per class. This permits careful, precise teaching and promotes steady learning. If there is only one person for a certain level and beginning date, the student will receive 6 individual lessons instead of 20 lessons in a group course. Monday through Friday, 4 lessons in the morning and 2 lessons in the afternoon to review grammar and practice conversation. The courses are divided into 6 levels. In order to place the students properly, there is an oral and written test on the first day. If there is only one person for a certain level and beginning date, the student will receive individual lessons instead of lessons in a group course. This very intensive Italian language course is especially designed for students who want to improve and to deepen their knowledge as much as possible in a very short time. The advantage of this course is the low number of partecipants, which promotes intensive study and the individual progress of every single student. Monday through Friday, four lessons of 50 minutes daily. The courses are divided into six levels. 3 to max. 5 students per class. If there is only one person for a certain level and beginning date, the student will receive 10 individual lessons instead of 20 lessons in a group course. 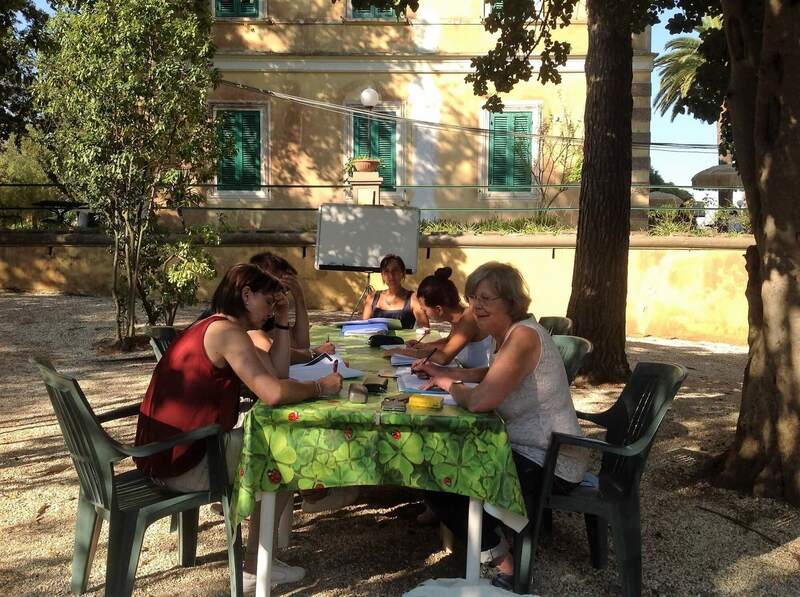 If you choose this course you attend the group course in the morning in order to improve and to deepen your knowledge of Italian. In the afternoon you get one/two individuals lessons, where your teacher can devote himself/herself to your personal wishes and help you with your special problems and difficulties with the Italian language. The time is the same as for the group course; the individual lessons are in the afternoon. One/two/three/four weeks with 10/15/20/30/40 hours per week. The Center ABC ELBA also holds courses in Florence (PAROLA Institute). Please ask the detailed brochure for more information.